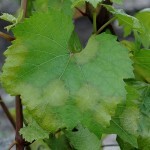 The vine is a demanding and fragile plant which needs to be grown with much care. 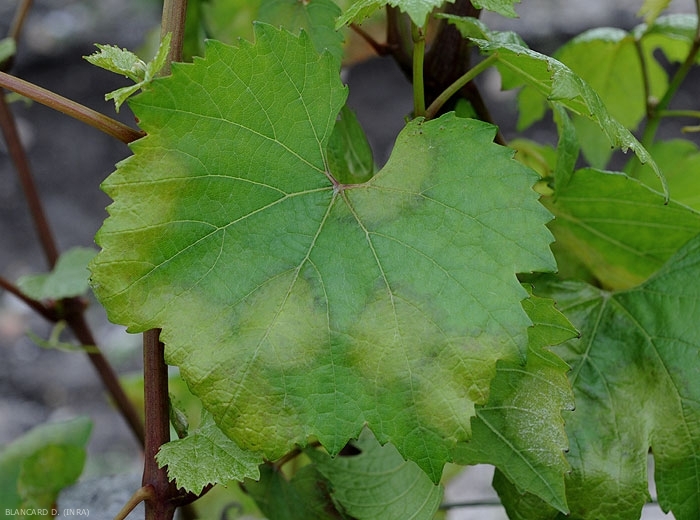 It is sensitive to certain well known fungi such as mildew, oïdium (powdery mildew) and black rot or noble rot which needs to be treated with preventive methods. A certain amount of phyto-pharmaceutical products have been created to replace copper and sulfur, incorporating synthetic chemical molecules in order to fight against these diseases. To date, we can count up to 260 of these products available on the market. We have chosen to not use these products and have preferred to follow organic methods in order to lower our environmental impact and offer a variety of natural chemical-free wines. Organic farming differs highly from “conventional” farming. 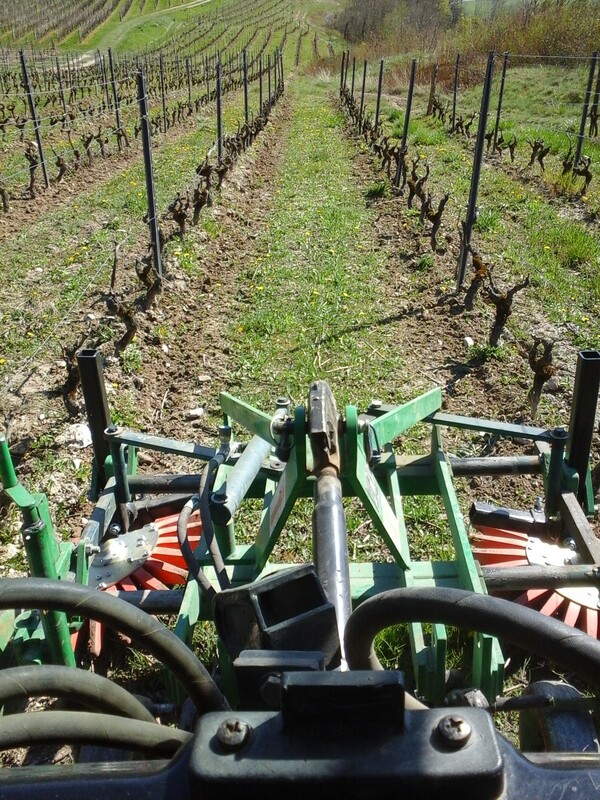 We’ve had to adapt to new materials and tools (such as a performing soil pulverizer, working tools used to control the grass growth…) as well as changing our working ways in each plot of land (passing through every other row, controlling all issues around breaking slopes and slants). All untouched soil has also been reworked and rebalanced so as to create new grounds to plant on. The work implying organic methods on the vineyard took a total of two years and in 2013, we were finally able to apply for the Organic Agricultural Certification, which will allow us to certify our 2016 vintage wine. The results of this transformation have largely lived up to our expectations from a technical point of view. Although we have observed a decrease in efficiency and, therefore, an increase in the cost, the quality of the work and the wine that has come out of it, has exceeded all expectations. This is what is essential to us. 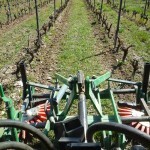 Our vision of wine growing is to step in as little as possible, bringing in a minimum of fertilizing and molecule-based products, and hence compensating with disease prevention, also known as prophylaxis (strict stemming and thinning-out of leaves are among the processes used, allowing the plant to breathe better). The work environment has also improved becoming more enriching from a technical and human aspect, involving a greater implication and awareness from the wine picker. 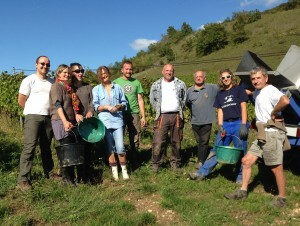 This working method is highly appreciated by all the winery employees as well as local residents.